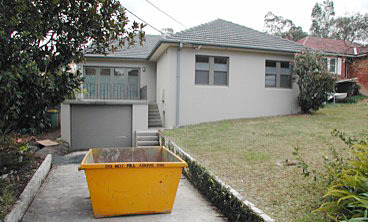 This is a selection of our architect designed home renovations - before /after project portfolio. Please also visit our portfolio of Home Interiors | 3D Architectural Designs | New Houses. This project is the perfect example for the complying development approval of the alterations and upper level additions of a large family home whilst under environmental restrictions. With a complete makeover by opening up of space and creating a better flow, this home turned to a spacious & comfortable family home. This project was taken over from another architect who faced issues with the approval process due to overshadowing. Our design focused on resolving the issues with the envelope and the laborious internal layout and then came up with 2 options for the style of the house; 1 contemporary and 1 classic. The clients decided on the classic look. The transformation maximises the potential of this large site and captures a spacious and refreshed 5 bedroom classic family home. 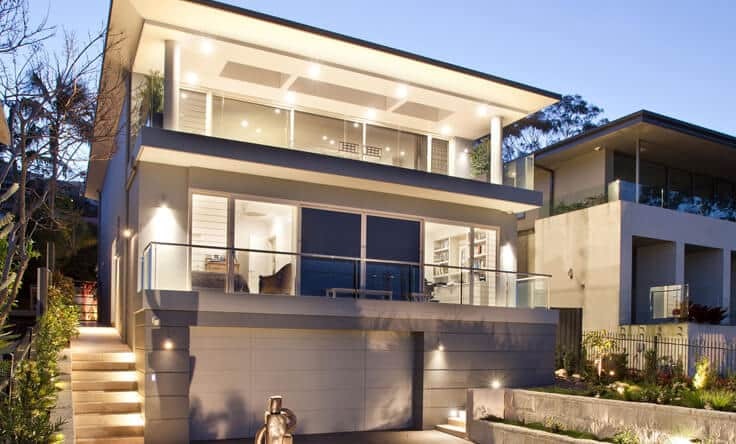 The dramatic transformation of this dated two level home makes the original almost unrecognisable, with a design which maximises the potential of this ideal site which overlooks Balmoral Beach. The proposed concept sought to improve and modernise the look of the home while incorporating a new pool & internal lift. Our clients also wanted a new master suite and spacious living areas. This house under-went a total transformation with a re-design of the existing rooms and an upper level addition to house two bedrooms, a new bathroom and a family room. Due to Council height restrictions limiting the number of storeys allowed to just two, only half of the house could include the upper level addition. 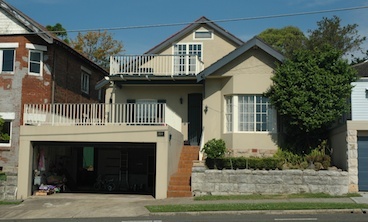 The stepping of the original facade can still be seen in the completed renovation with new window joinery and cement rendered finish applied to the brick achieving an altogether new look. This project was completed in 2 stages. 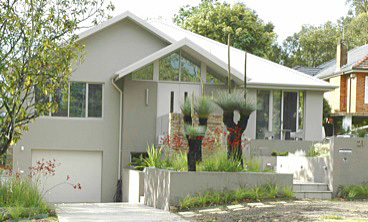 Firstly to create a play room, a separate living space and a new double carport. In stage 2 the clients were expecting their 3rd child which required the addition of more space and a comfortable family home. The result was a very contemporary look with high cathedral ceilings and sun filled living spaces which take advantage of the north facing backyard. 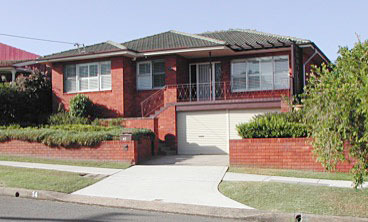 This plain and boxy existing home was lacking in street appeal, functionality and overall wasn't working for the client. 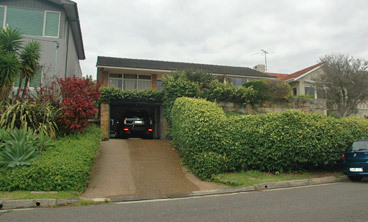 The house had considerable remodelling to the front combined with modern landscaping to create a more defined and inviting entry and giving street presence. The interior decorating involved a complete bathroom and kitchen makeover and a new hidden attic integrated into the ceiling space. 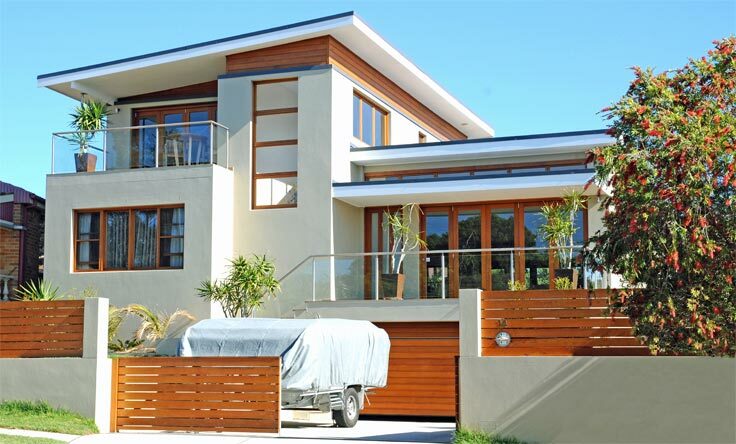 This home appears perched high above the street with panoramic views across to the Spit Bridge. 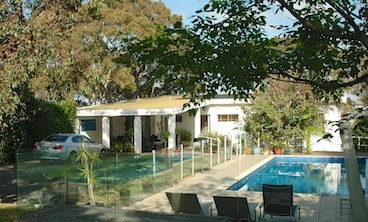 What you don't suspect is that it sits on a near flat 1200 sqm block with loads of sun to the backyard. We began with an extension at the rear designed to capture north sun, southerly breezes and enjoy views to the pool. 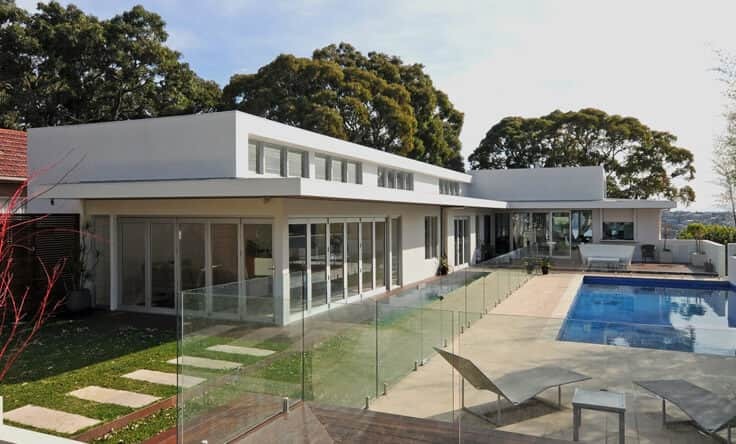 Our clients wanted a contemporary white home with a new entertainers kitchen, flowing indoor / outdoor spaces, an outdoor living room, two large bedrooms, an alfresco deck with servery and new powder room with shower. This project involved the renovation of an existing Bungalow with the design of an upper level addition, which would integrate seamlessly with the existing home. The proposed design a master suite, sundeck, additional living space, bedroom and Art Deco inspired bathrooms all integrated into an open mezzanine floor overlooking the new double height entry. The recently completed design is a very successful renovation with the new upper level integrating perfectly without looking like a boxy add-on. This existing semi-detached home was originally cramped and dark offering little storage and a dated interior. The project involved complete remodelling to the rear half of the building and developing a new roof design that would capture sun over the top of the neighbours. With the addition of this skillion roof, raked ceiling and new open plan layout, the home is now light filled and spacious with a very high quality of finishes throughout. The brief for this existing, 1950's weatherboard cottage was to reconfigure the spaces and maximise the views over Clontarf, whilst maintaining and restoring the existing traditional elements of the home. The makeover involved the interior being rebuilt with remodelling to the kitchen and bathroom, excavation for a new lower level and extended deck areas. A high level of detail and refinement was applied to all elements including the skirting and cornices combined with high quality materials and finishes. This existing three bedroom home located on an elevated site and offering distant, north-facing ocean views required an entirely new and contemporary look to the upper living areas. The key to this renovation was the relocated entry with a revised staircase with frameless glass, raised timber floor and a relocated modern kitchen completing the upgrade of the internal living spaces. The final result is a substantial and open living area with improved flow and access throughout, and a refreshed and crisp interior finish.